A research study about the revenue royalties finance system is released for publication by Asia-Pacific Group, Beijing. With special emphasis on the implementation of the method in China. Authors Michael North, Liu Meiyan, Arthur Lipper. Beijing, China, April 02, 2018 --(PR.com)-- A detailed white paper, with research on the implementation of a new financial system called revenue royalties, has been published, simultaneously in English and in Chinese. 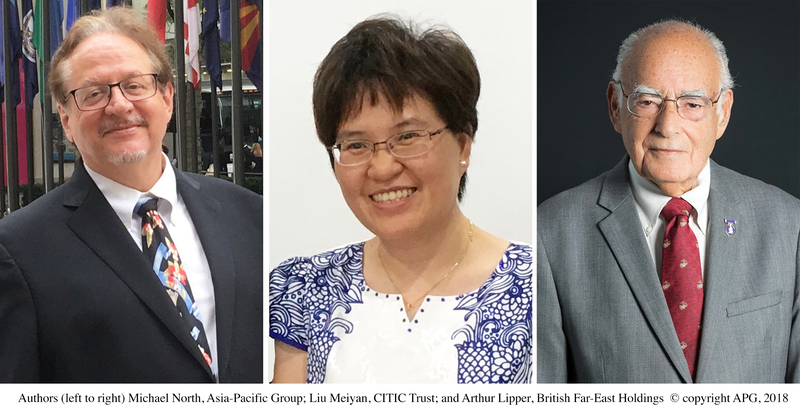 The study document was authored by Michael North, Partner in Asia-Pacific Group; by Liu Meiyan, Vice General Manager, Business Innovation Department at CITIC Trust Co.; and by Arthur Lipper, originator of the Lipper Index and a well-known financial advisor in the international business community for more than 60 years. "Standard royalties compensate owners for the use of assets which already exist - and pay for their valuable use, after they are created. A best-selling author may receive an advance for a book, but he or she is responsible for doing all the work needed to write the book, and for its expenses. "Revenue royalties work the other way around, in a sense. The investment is provided in advance to a company in order the produce anticipated result, which is increasing gross revenues over a period of time, for all of its products and services. "Virtually every type of security is either equity or debt, or some combination of the two. This White Paper proposes adding a third option - revenue royalties - to the equity/debit polarity. 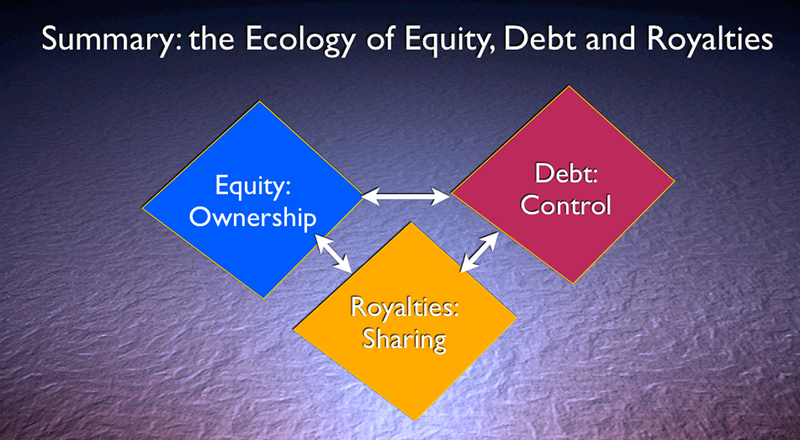 "Instead of the duopoly of equity and debt, and their combination, investors and their advisors may also structure investments that are pure revenue royalties, or combinations of equity and royalties, debt and royalties, or all three. From a total of three options today, we can increase the choices to seven, and perhaps the resulting financial system will have more dynamics, more flexibility, and more stability. "We’re referring to the Hudson’s Bay Company, listed on the Toronto Stock Exchange. In 1670, North America was beginning to be explored, and England claimed a huge area for King Charles II. The company is still in business today, and still paying returns to investors after almost 350 years. "Public-private partnerships (PPP), now being widely adopted in China, harness the resources of government in land and natural resources to the capital investment and efficient management of the private sector. But PPP is still running on an engine of debt, and China is over-leveraged. "How to raise capital without continuing to increase debt? Royalties may offer an answer in China. If used with PPP’s, royalties may reduce dependence on debt by the public sector. They could make more and larger projects feasible, with a positive contribution to the national priority to improve the quality of the environment and public health, secure greater energy independence, and contribute to the lofty goal of building an 'ecological civilization'."